The past couple of days we were in Kyoto saying goodbye to SIL's mom, who had pancreatic cancer, just like my mom. The last time we saw her was 2 years ago when SIL's dad passed away. Apparently, she was diagnosed at the end of last year. 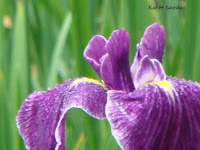 SIL was visiting her whenever she could though SIL mentioned that her mom also had dementia and at times did not recognize her. In the past, SIL's mom was always dressed well and made up elegantly. 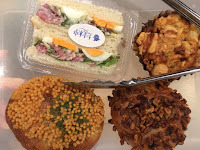 They recently had a tea event at Hankyu Department Store. 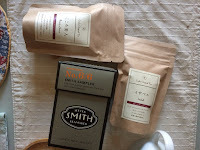 There were so many brands I wanted to purchase to try, but their teas were all in large quantities, nothing really small to "just try". 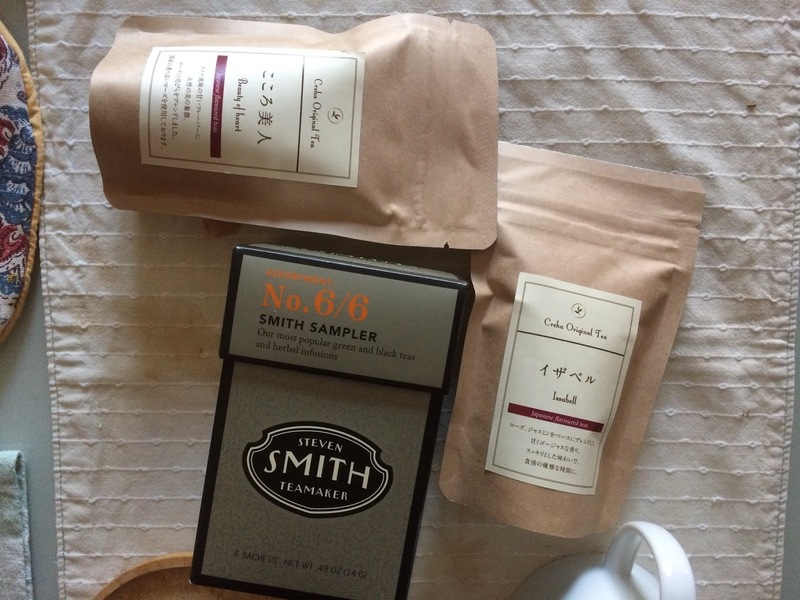 I did get these though...Steven Smith Tea Sampler (6 different teas--2 black, 2 green & 2 herbal) and 2 types (Isabel & Kokorobijin) from Creha (pronounced ku-ray-ha), a tea maker from Saga prefecture in Kyushu. 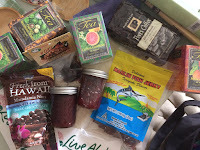 The Creha teas are floral & fruit flavored and are perfect for cold brew style. 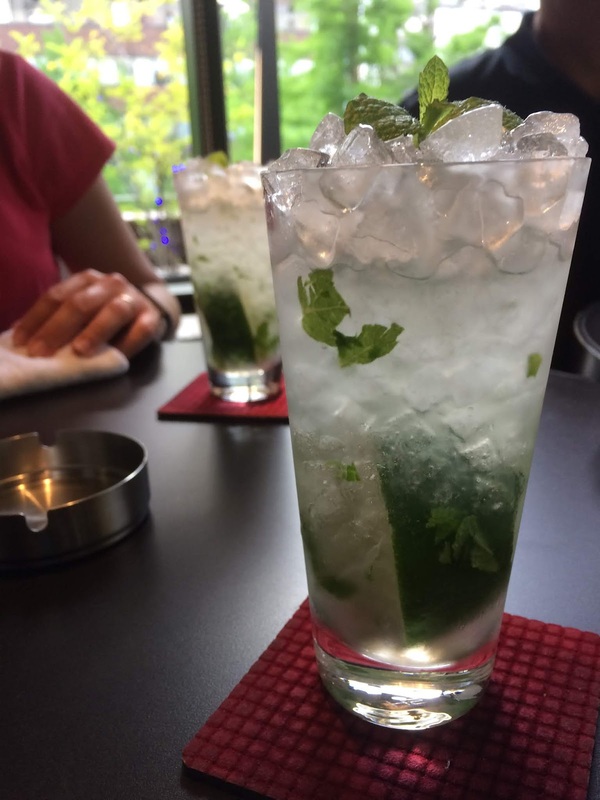 How are you keeping cool these days? 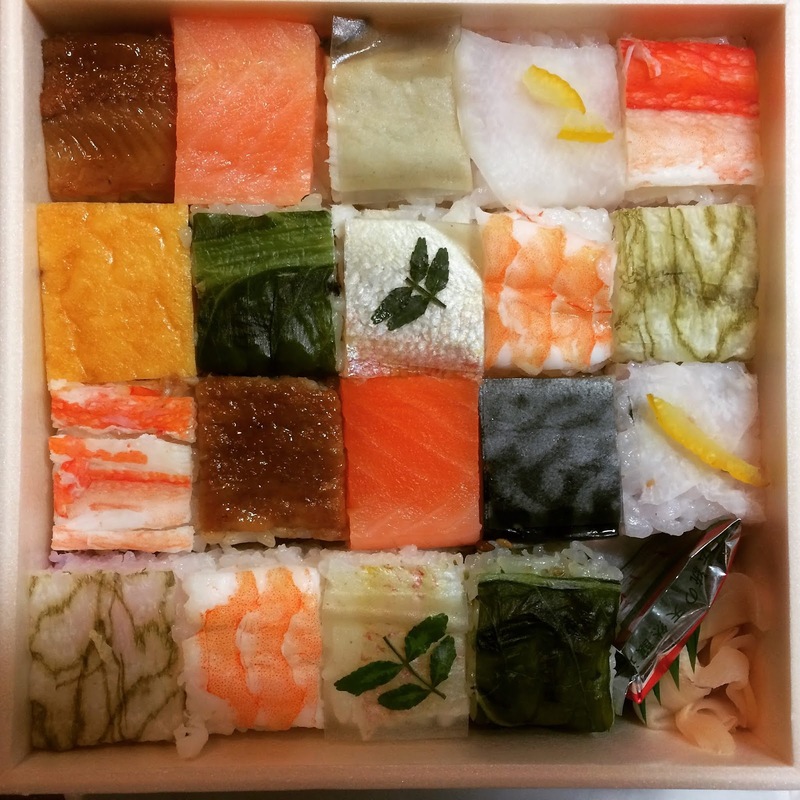 How pretty is this sushi? 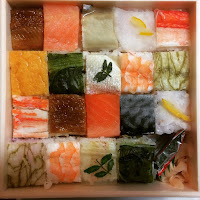 Apparently it is the oshizushi (pressed type) then the pieces are cut into half then arranged in these bento boxes. They were cute, pretty to look at and tasty. It seems we've nose dived into summer here. I've been making kyuurei coffee in the afternoons. 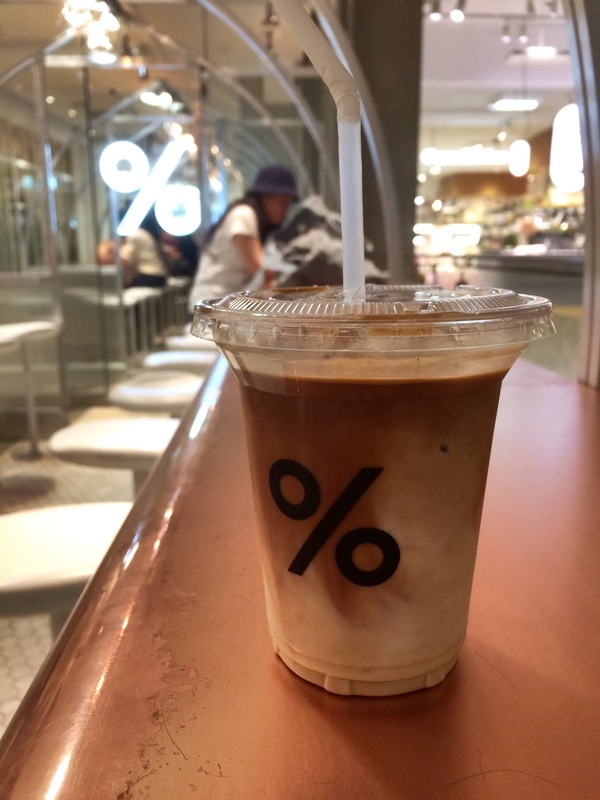 Kyuurei Coffee (literally quickly cooled coffee) is the Japanese style of iced coffee or what I think is called flash brewed coffee in the States. 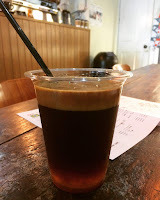 I really enjoy cold brew (mizudashi) types but this method apparently protects the coffee from oxidizing. Just heat the water to the appropriate temperature, fill your glass with ice and brew your coffee right over the ice. As the hot coffee hits the ice it is quickly cooled. 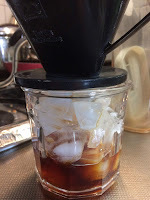 I think I will be drinking my coffee this way and cold brew style this summer. 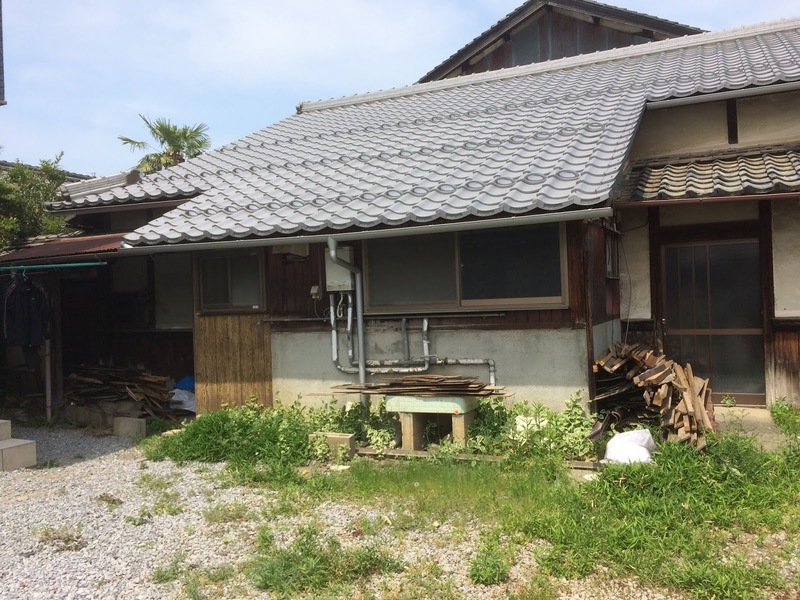 Sunday we went to meet MIL and BIL at Hikone. 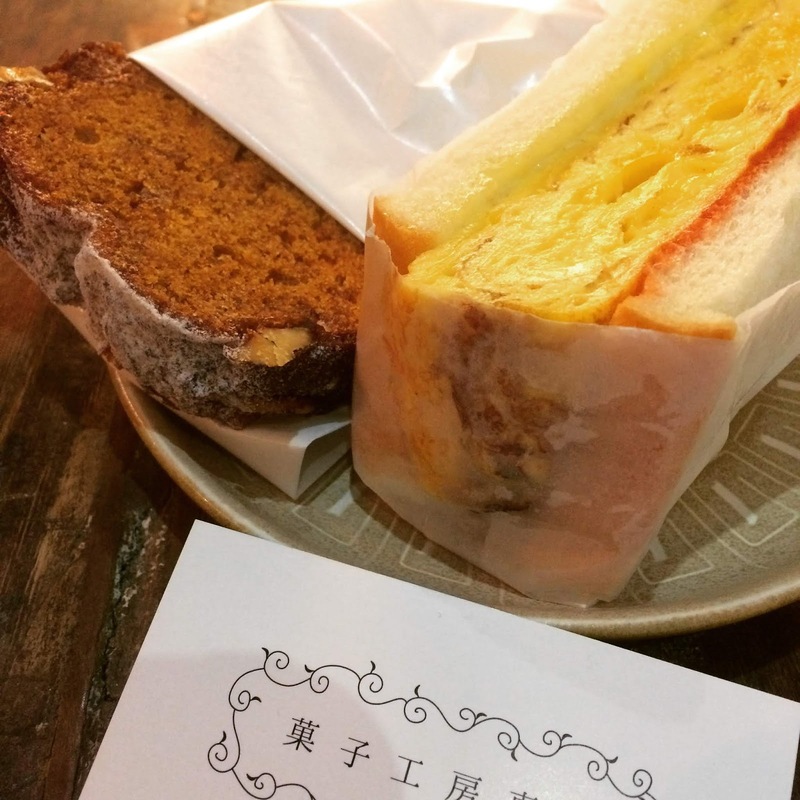 We got there early, so Satoshi had an egg sandwich and I had a caramel banana cake at Micro Lady Coffee Stand. 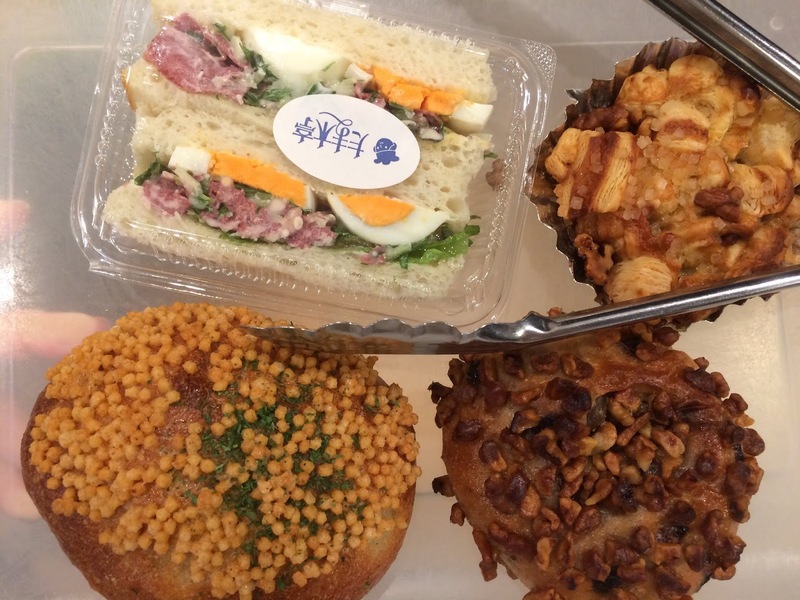 The baked items and sandwich were made by Mashita, a pop up shop. It was my first time trying an espresso tonic. Strong shot of espresso, tonic water & some citrusy syrup. We met MIL and BIL in front of Gennai, and then had unagi for lunch. 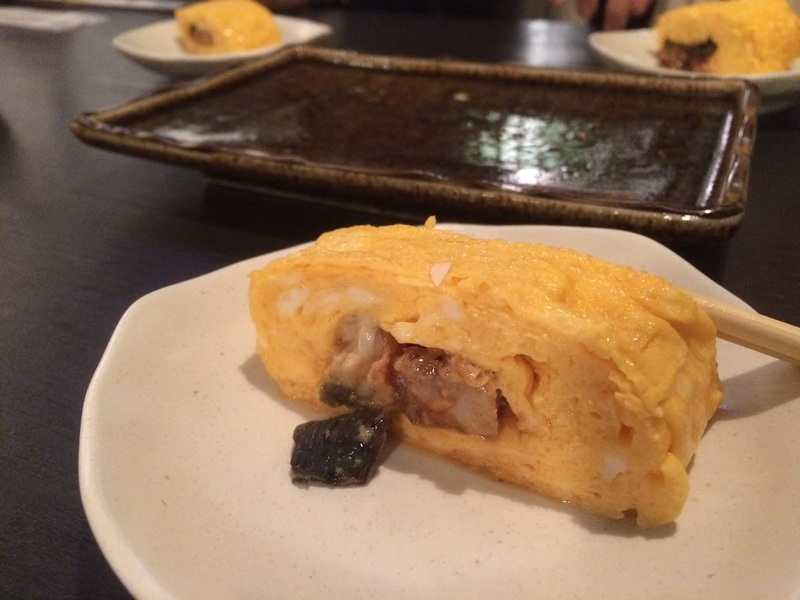 I ordered this umaki (grilled eel is enveloped in a fluffy rolled omelette) and shared with everyone...so good! 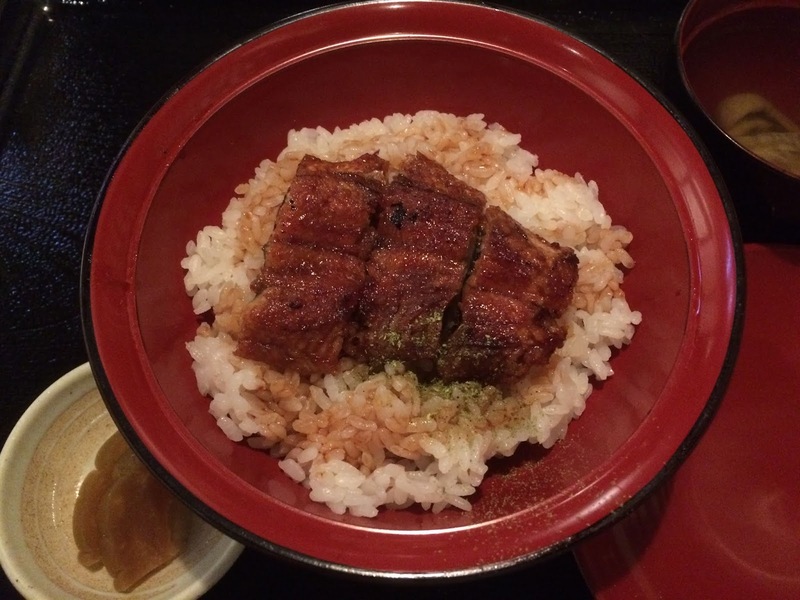 I also had their mini unagi donburi. The skin of the unagi is cooked until crisp. Delicious! 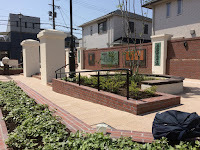 We then went to visit the grave of MIL's family and then reconnected with MIL's cousin's son's wife (distant relative). 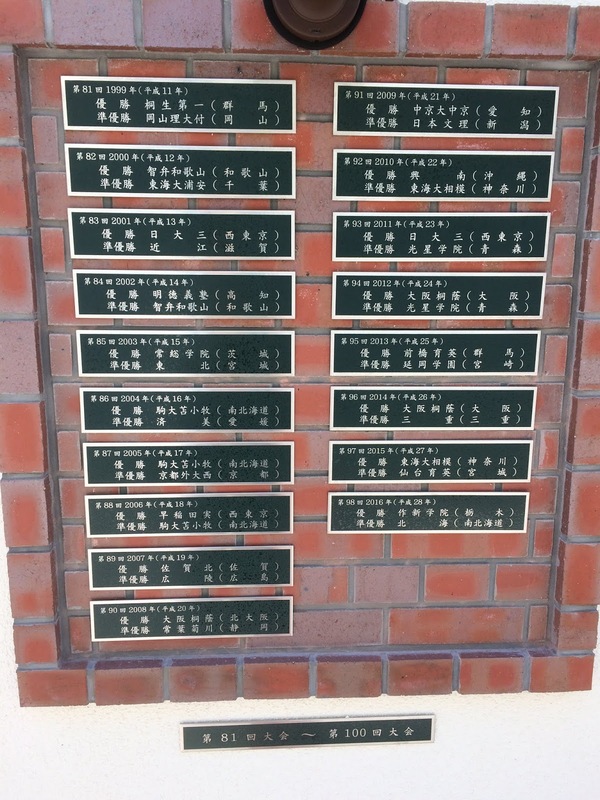 The birth home of MIL's grandfather was turned into a city historic site so we weren't able to see inside the home. Apparently it is 250 years or so old though...amazing! The city recently refurbished the roof...bummer we hadn't reconnected with this distant relative sooner, the home was accessible up until 3 years ago. Still, it was nice to make a connection and spend some time with MIL and BIL. Saturday I went to check out Kissa Sunshine. 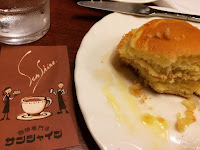 Kissa in Japanese means coffee shop. 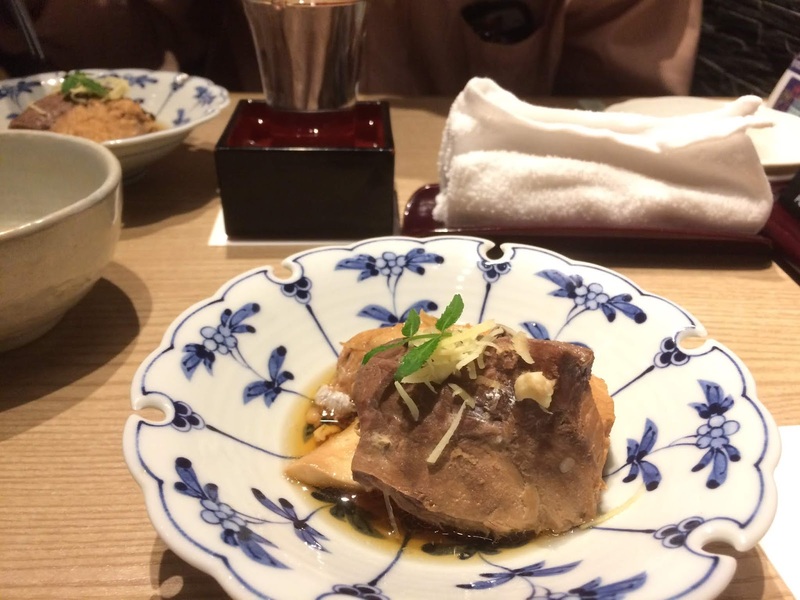 On Tabelog, the reviewers mentioned that the place is usual filled with "salarymen" (business men) during the week which equals smoking...which equals "blah". So, I went to check them out on Saturday...well, the hot cakes while delicious, there were people still smoking...I'm glad I checked this place out though, but won't be back because of the smoking. 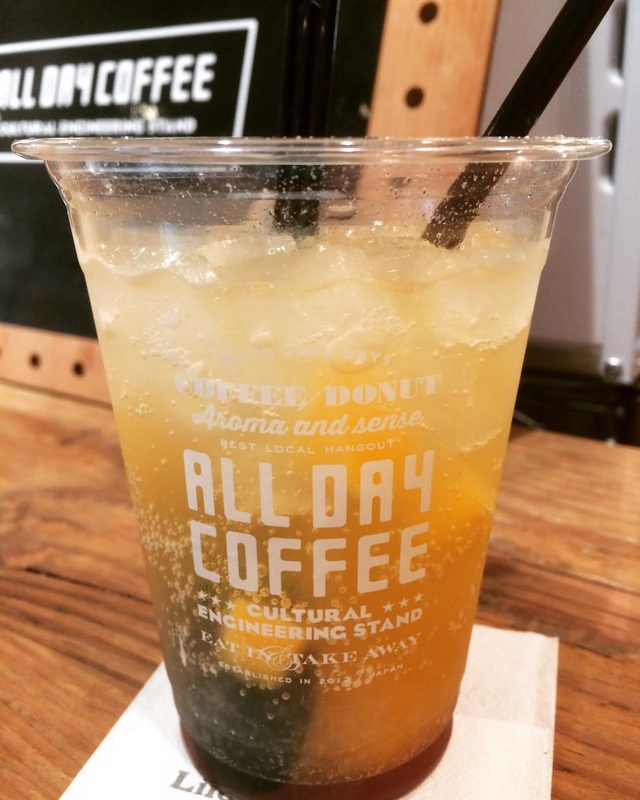 To end on a happy note, I had this refreshing mango sparkling tea at All Day Coffee on Saturday too. What made it even more delicious were the bits of fresh mango in the tea! It is blazing hot, we even had to put the a/c on already and it is only May...summer is gonna be brutal. The weather has gone from cool to broiling hot! Over the weekend, the temps were said to be July/August levels...gah! Anyway, I wanted to share this easy recipe. 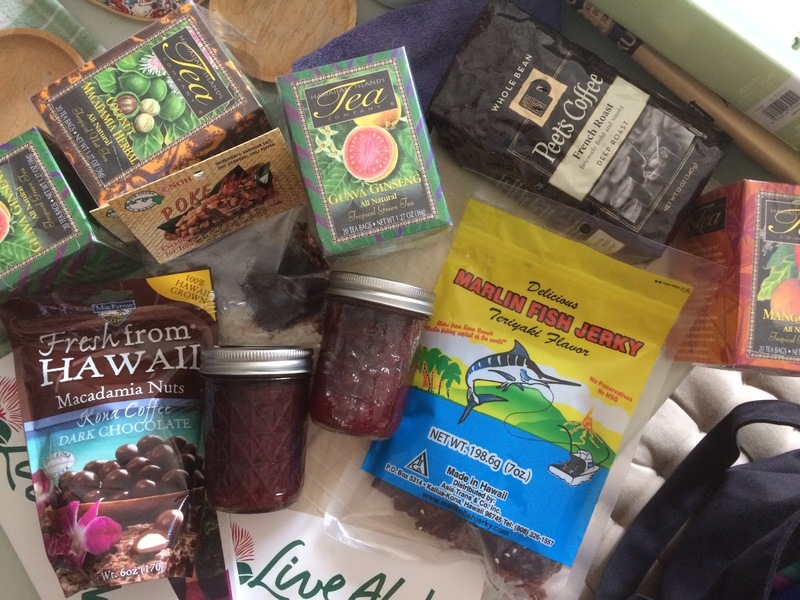 We stumbled upon this combination when we bought a couple of musubi from a sozai (pre-made food) shop. For 1 cup of cooked rice mix in 30 grams of flaked salmon (I used a bottled type) and 30 grams of thinly sliced takuan. Add a sprinkle of sesame seeds. Serve in chawan (rice bowl) or make into musubi. NOTES: For this version, I don't wrap the musubi in nori. We just eat as is. 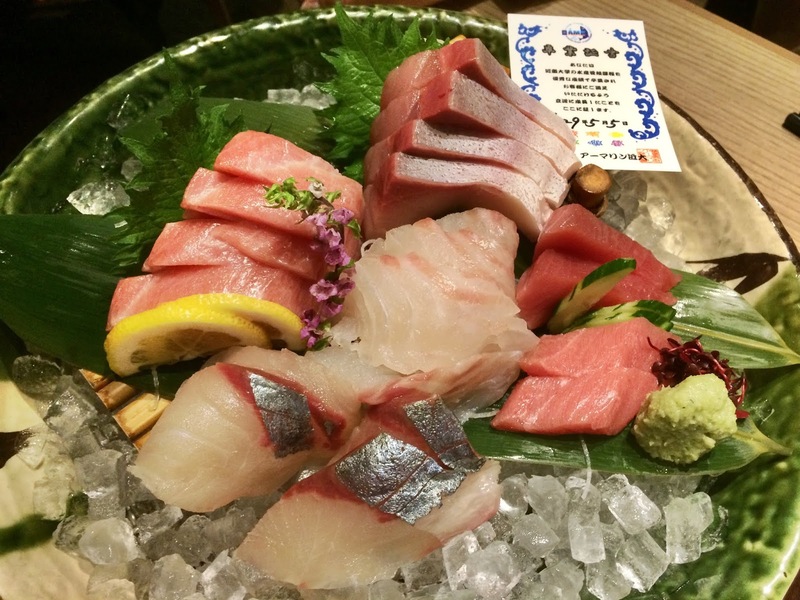 So delicious, we love the sweet crunch from the takuan and salty from the salmon. 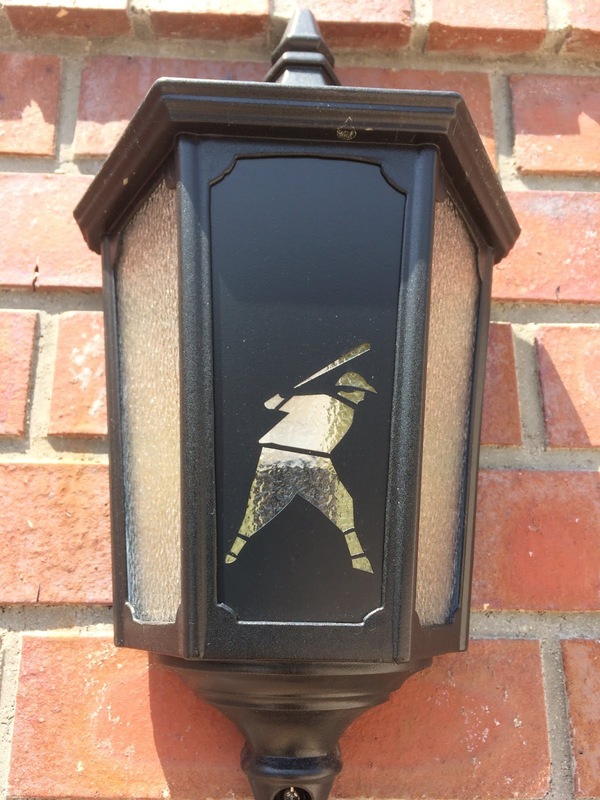 I've already made this twice and it is quickly becoming a favorite of ours. Hydrate everyone, summer is here! 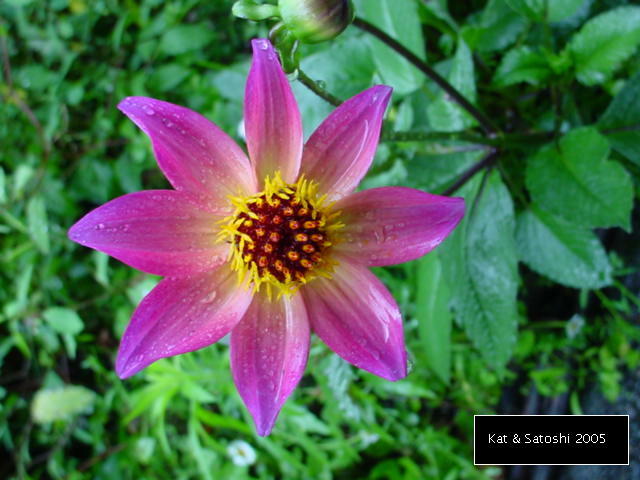 I planted the seeds we received from our last visit to Kurokawa Dahlia Park. 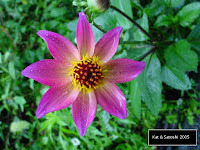 Hopefully these dahlia will actually get big enough to flower and not dry up like last year. I recently came across these teeny oranges called "cuties" imported from the US. Apparently there are two varieties, Murcott & Clementines. 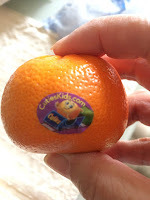 They are easy to peel and quite sweet too. Plus, I like their name. 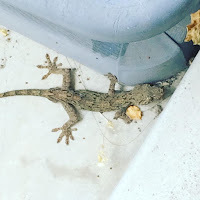 The other day as I was closing the sliding doors on our lanai, I heard a little squeal. I freaked out and quickly opened the door and he was dazed. 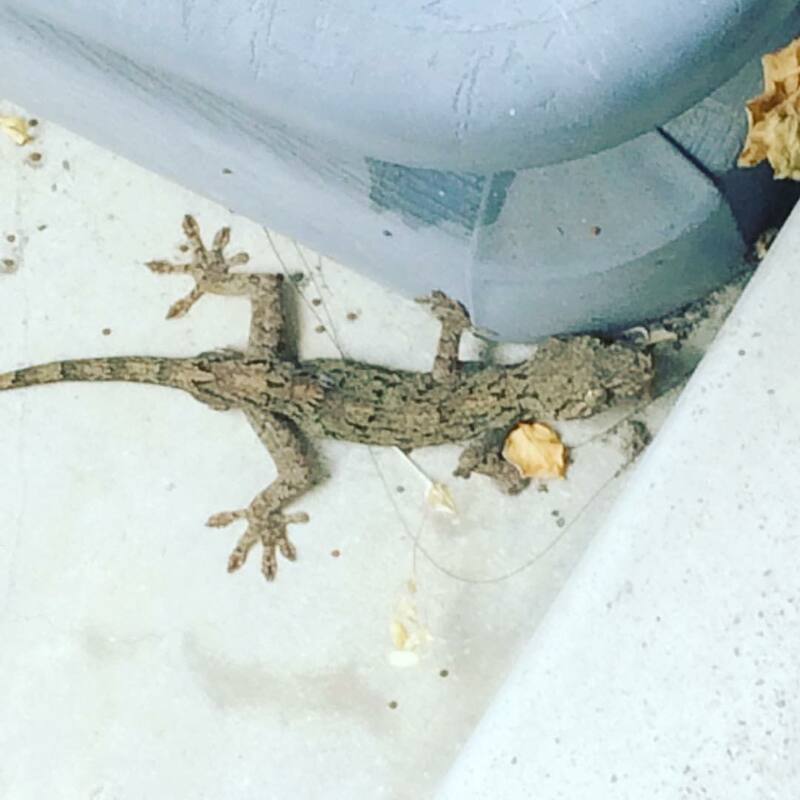 With a stick, I tried to coax him outside. It took some time to get him outside, and it seems he was okay...whew! 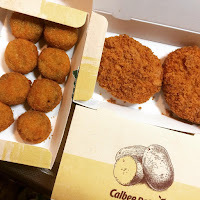 If you are familiar with Japanese snacks, you'll know that Calbee makes potato chips. Well, they recently teamed up with Hankyu Department Store in Umeda and started selling croquettes. 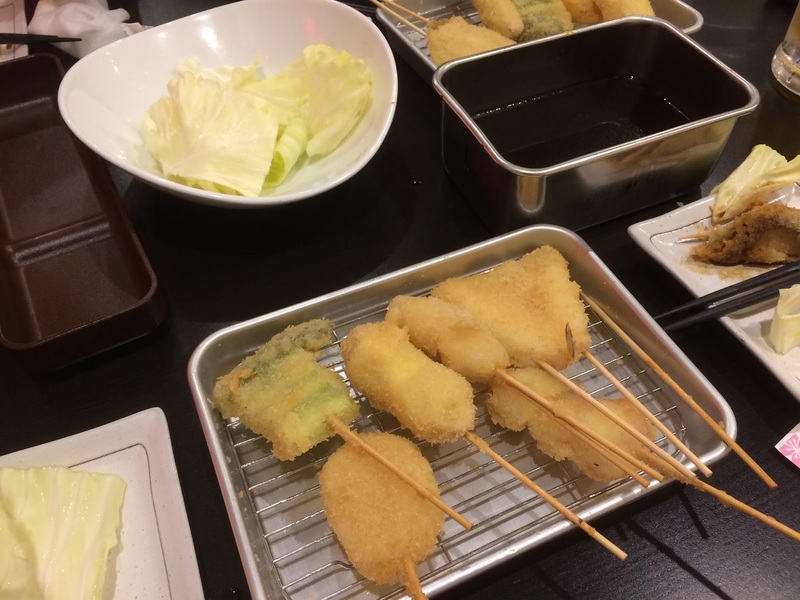 In Japan, traditional croquettes are mashed potatoes with bits of beef that are formed into oblong orbs and are deep fried. At the markets they sell these and other flavor variations too. Anyway, before Golden Week, Calbee/Hankyu started selling these teeny snack types as well as regular sized croquettes. And of course whenever something "new" appears, there are always krazy lines. 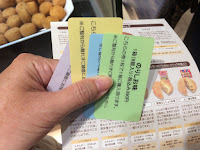 As you wait in line, they give you the "menu" so you can decide which flavors you want to get. Then when you get closer to the glass case, they will give you tickets for the flavors you wish to purchase. In front of the glass case, you hand over your tickets and someone readies your order. Then you pay and go off with your purchases...pretty good system and the line moves quite quickly. Luckily, this past Saturday while I waited for Satoshi to finish his German class, I was able to pick up some croquettes for us to try. Their regular sized: plain, butter...we liked the butter one! 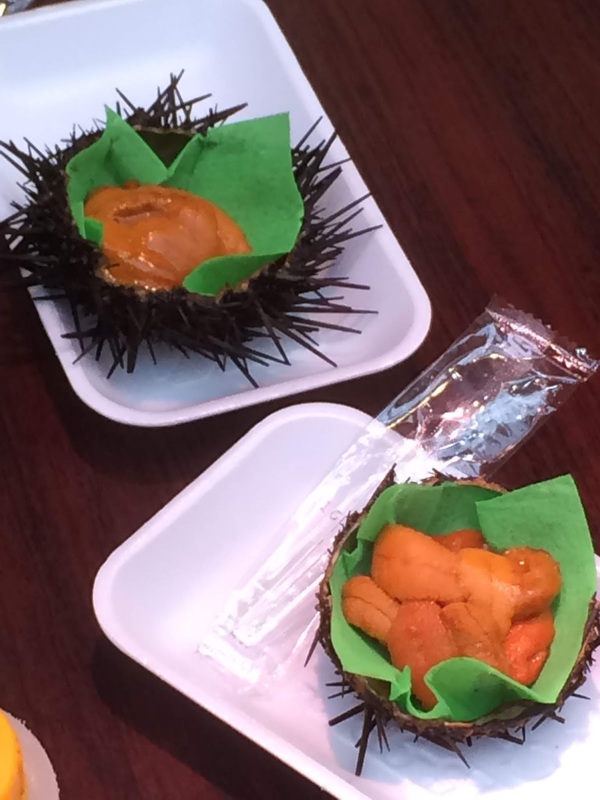 Snack type flavored like their chips: Nori shio (kelp & salt) and consomme punch (consomme)...we liked the nori shio one! I'm glad we got to try these, definitely not something to buy everyday, but nice to maybe bring to a potluck party. Friday the water in our building was going to be turned off for several hours, so I went to Kyoto. While there I ran an errand for Satoshi then I went to Obaku. There is a bakery that I have been wanting to check out but was never in the area...Tamakitei. The sandwich was so soggy that I was disappointed with it but the other items we really enjoyed, I will definitely be back the next time we are in the area. 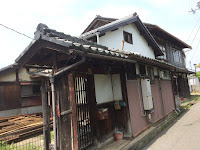 After buying some items at Tamakitei I went one station over to Mimurodo and walked to Mimurotoji. We've visited here a couple of times...which I wrote about here, and here. 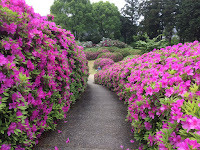 I had thought this temple was known for their ajisai (hydrangea), but they have way more tsutsuji (azaleas). 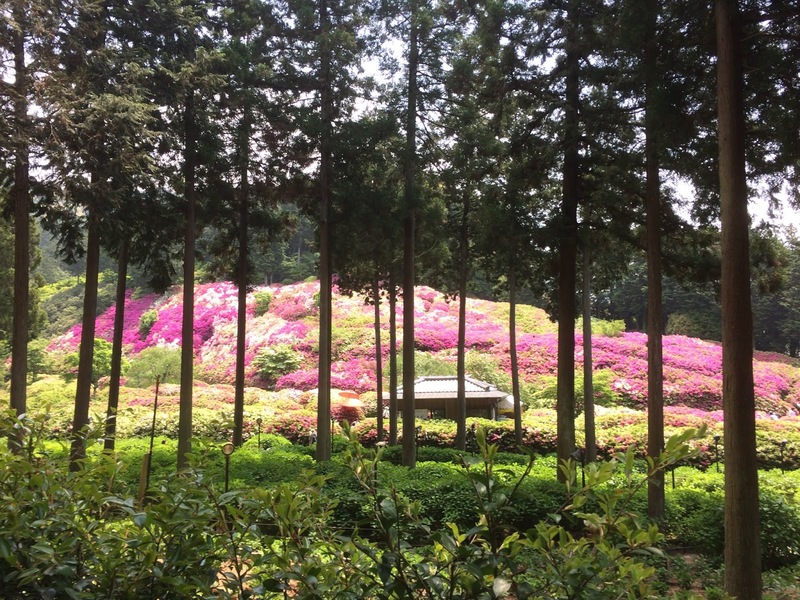 10,000 hydrangea plants & 20,000 azaleas! 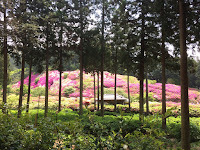 Click to see a short video I shot from the top of the azalea "mountain". 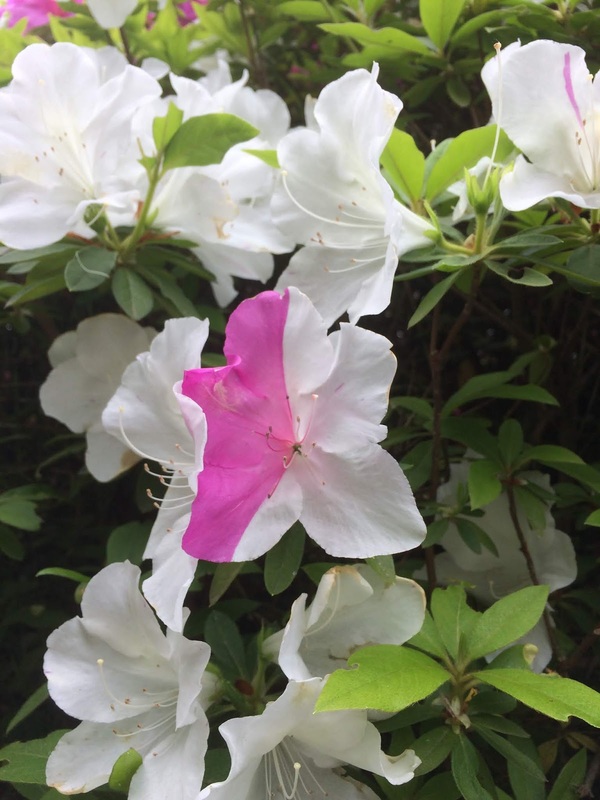 I thought it was neat that a white azalea had inter-mingled with a pink one and became half-half! 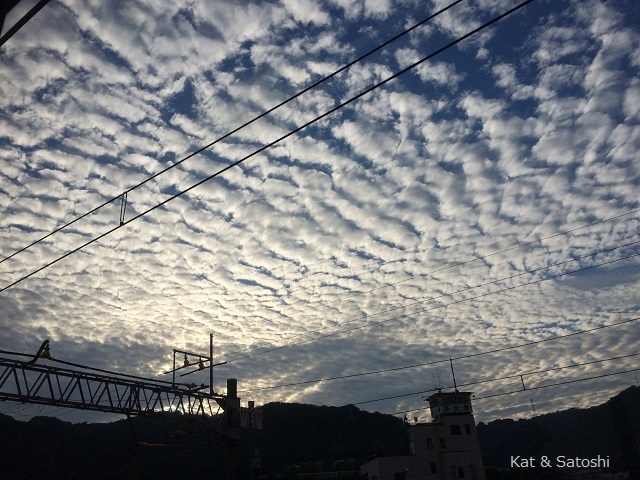 After Mimurotoji, I went one more station over to Uji. The area has changed since the last time we visited, more shops and eateries...a little more touristy. I stood in line for Nakamura Tokichi, a well known tea shop in the area...I'm glad it wasn't a really long wait, maybe only half an hour?! I had their namacha (literally raw tea) gelatin sprinkled with shincha (new/spring tea)...not photogenic, but super refreshing and perfect for the gross humidity on this day. 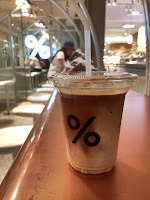 Then I went back to Kyoto city...and had an iced cafe latte at %Arabica Kyoto before catching the train back to Osaka. 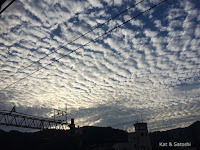 It was nice to be out and about, though the humidity was quite bad...rainy season is coming...sigh! 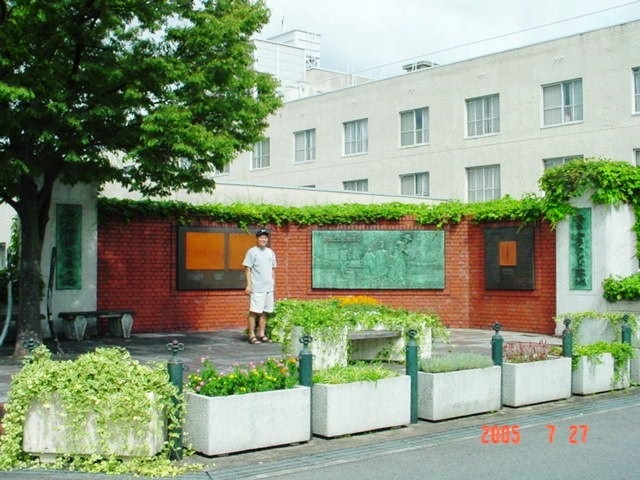 Before Golden Week, Satoshi had to go in for a procedure. I wasn't present when he received his results, so wasn't totally sure as to what had to be done. I asked family and friends for prayers and good thoughts (Thank you!). Since I wasn't too sure when he would be out, I grabbed something to eat and then waited for him to come out of surgery. The doctor came to talk to us and explained what had happened. It turns out he only had a cardiac catheterization done. When they put the dye in, the area that they were concerned with had a "nice flow" so they didn't need to put in the stent...whew! They are lessening his meds (on a trial basis) and he was discharged the next day. After Satoshi was discharged he was having some trouble with his lower back, we thought it was from sleeping too much...or maybe there was some kind of complication? Then this past Wednesday night, he was in pain...even crawling on all fours to the bathroom at one point...eep! Thursday morning we called the hospital and they recommended that we go to another hospital (one right across the street from the one Satoshi goes to) because their outpatient services were krazy busy. I was amazed with this teeny hospital across the street...they took Satoshi within minutes of filling out forms, x-rayed and gave him a lumbar epidural steroid shot for his pain and we were out of there within a couple of hours. It turns out while he was hospitalized for the catheterization, he was probably sleeping in an unusual position which paired with bad posture made his lower back go all wonky. So, thankfully he is on the mend, though if the pain does not go away within a week or so, he may need to go in for more tests. Hoping that he will be pain free soon...have a nice week everyone! 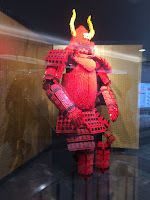 I've seen these guys, usually at Tokyu Hands. 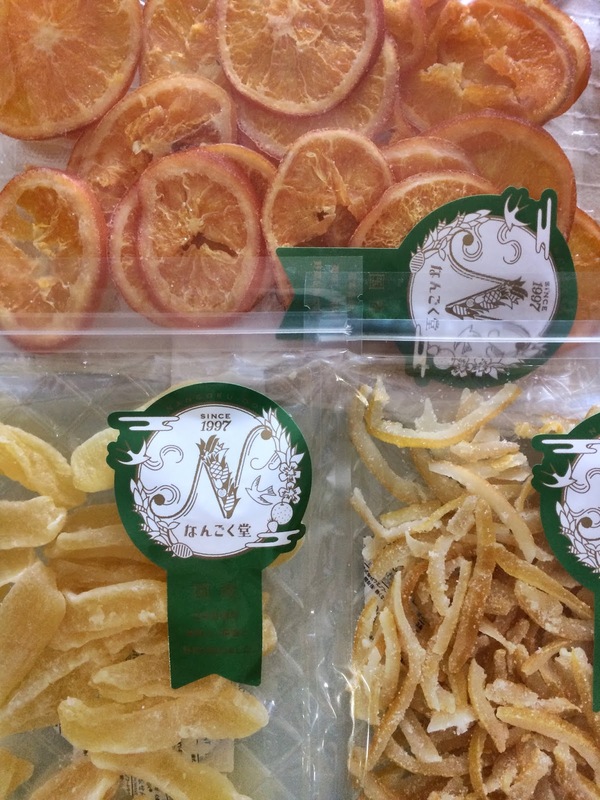 I like that the dried fruits I purchased are "made in Japan"...Aomori apple, Setouchi lemon & orange. 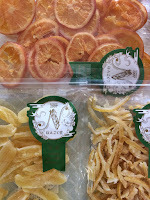 Usually whenever I see dried orange, they are hard.as.rock. but these were really soft. I chopped up some to top our oatmeal this morning. It was delicious and a nice way to brighten up a grey morning. I recently received a bottle of Ya Kun Kaya Toast spread from T. It was our first time trying kaya toast. 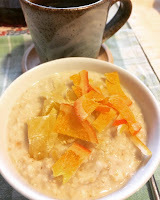 It has a slight nutty flavor and isn't overly sweet. Apparently you should eat it with some butter between two slices of bread...we'll try it this way soon. Another thing we tried were blood oranges that were grown in Ehime...bummer that these weren't reddish, but they were firmer than the oranges we are used to and they were super sweet! 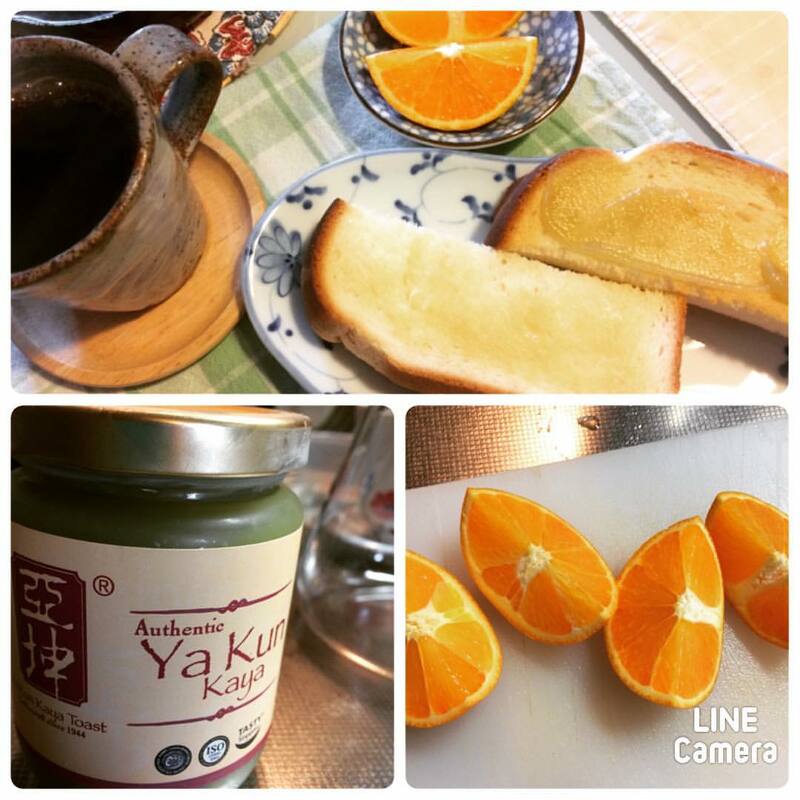 Thanks T for the kaya toast spread! 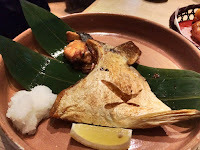 A couple years back, Kinki University opened up a restaurant in Grand Front Osaka that uses fish that the university fishery labs have farmed. Anyway, when they first opened, the lines were krazy and to this day, they actually still are...luckily Satoshi and I got there 30 minutes before opening the other day and was able to queue up before the line got too nuts. Dinner started with otoshi/tsukidashi (stuff we didn't order but still had to pay for)...aradaki (head & bony parts of fish that is simmered in shoyu, mirin, sugar)...fall off the bone tender. An assortment of sashimi...all farmed. 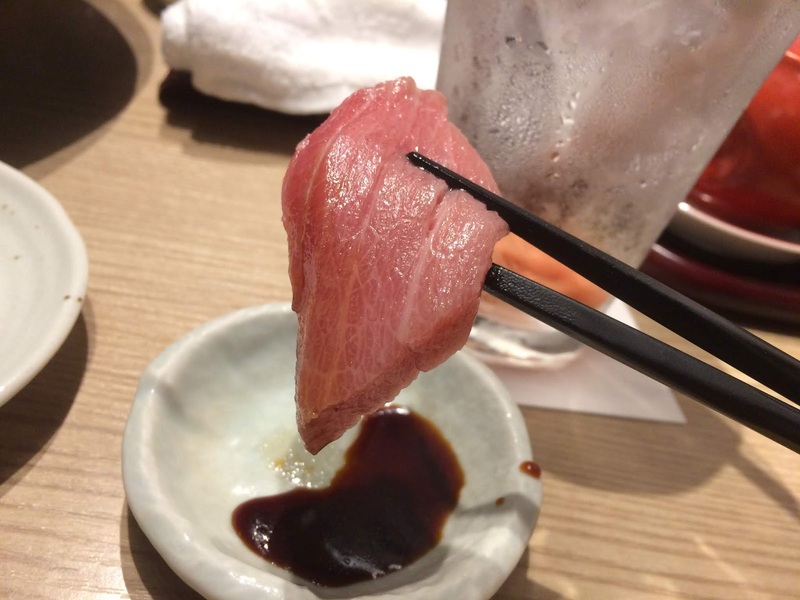 The toro (fatty tuna) was quite lush & creamy. 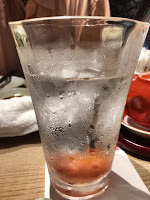 I ordered their umeboshi sour which used Wakayama grown ume...delicious and not too sour! 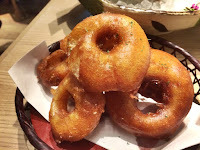 Shintamanegi (spring/new onions, also from Wakayama) beer battered rings...a bit oily but super tasty. The onions just melted in your mouth. The fish was moist and very nicely seasoned. 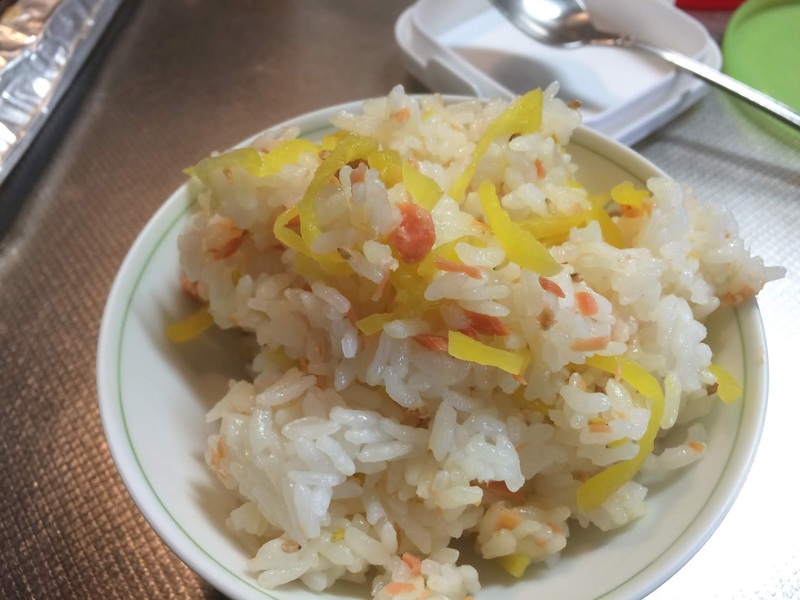 Tasty with a squeeze of lemon, dollop of grated daikon and a couple of drops of their housemade ponzu (citrus soy). Their portions are a nice size and most of the wait staff are students of the school. I'm glad we got to try this place and wouldn't mind going back if we are there when the lines aren't too krazy. Thursday, we met Ryan and his wife, S.
A couple of years back, he gave us a bottle of his mom's homemade ohelo jam. Even though we were meeting for the first time, it turns out we have a LOT of connections (super small world), so it was easy to chat with them. 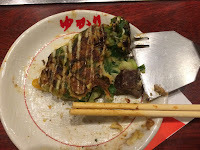 After doing some shopping, we had lunch at Okonomiyaki Yukari...Satoshi has been here a couple of times...even if we had to wait to get a table...the food came out quite quickly once we ordered. We shared a mixed okonomiyaki, negiyaki (pictured above), some yakisoba & a sakura mochi ice cream (and beers). Bellies full (at least mine was), we walked through Doguyasuji, the area in Osaka that sells all sorts of gadgets & kitchen items. 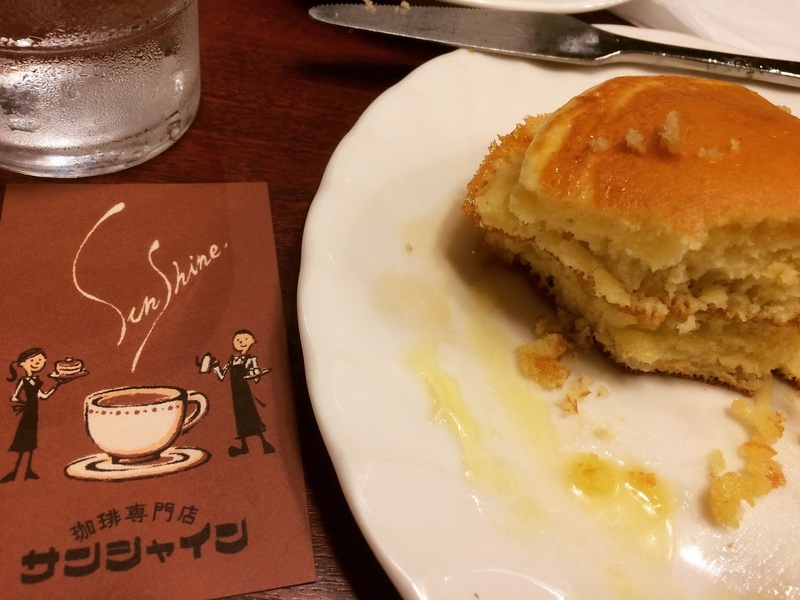 Around the corner, Satoshi & S had dessert...taiyaki. Kushikatsu (and beer) at Hotaru...remember no double dipping. We let the cook choose so they gave us 10 different types which the waitress rattled off...there was asparagus, shiitake, scallops, tako (octopus), kisu (sillago japonica), onion, minced chicken with cheese, quail eggs, and two more that I can't remember. 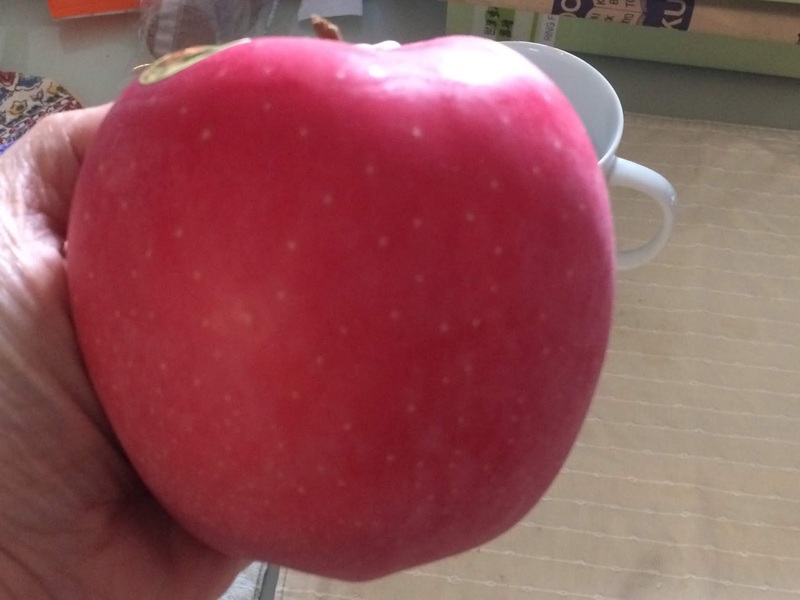 Before saying our goodbyes, Ryan gave us this huge Aomori apple that we saw at Kuromon Market. It is a different variety called "mutsu" and different from the ones we see in our area markets. While very crisp, the fruit itself isn't sweet like Fuji apples...we had half for breakfast one day and the other half for another breakfast...so good! They also gave us tons of omiyage...mostly things that I have on my Omiyage List. 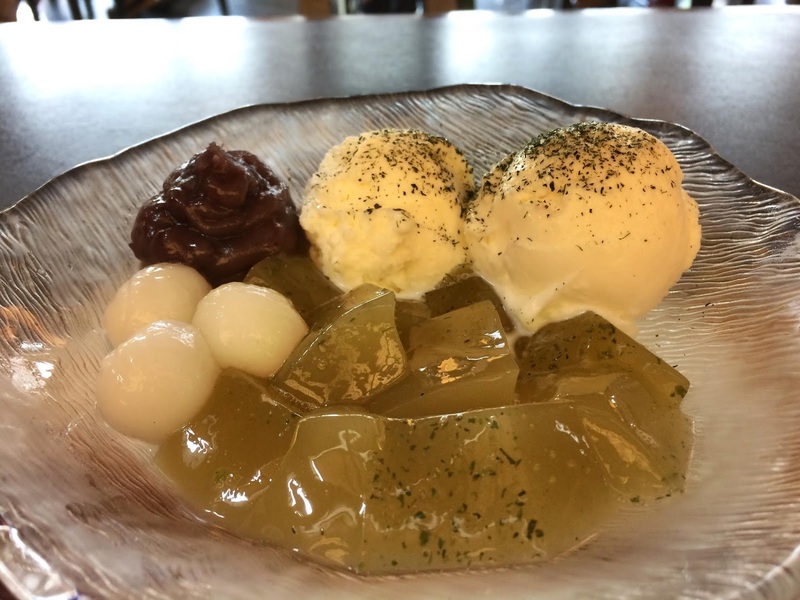 And also jars of ohelo and ume jam that his mom made! Lots of walking, lots and lots of talking and lots and lots of eating. It was so nice to be able to meet them and hope they had a nice time. We felt so bad because they wouldn't let us pay for anything! 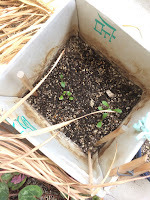 Over the years, our teeny blog has brought us so many new friends and connections and we are so thankful. "You guys, next time we go holo-holo (galavanting), we're paying...."
Thank you again for a great day, Ryan & S! There is an animal in Japan called a tanuki which in English is called a Raccoon Dog. Anyway, I've seen them around our area, but of course, Satoshi never believed me. nope, it was a tanuki. Bummer, I don't have a camera in my eye to show you the tanuki we saw, I did find a picture on Wikipedia though...at least now Satoshi is a believer. 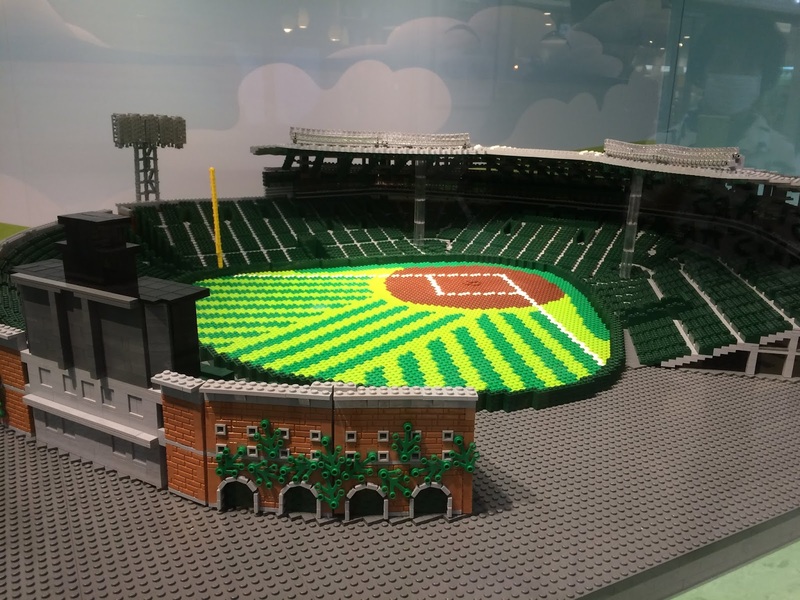 The Lego artist, Jumpei Mitsui recreated Koshien Stadium. 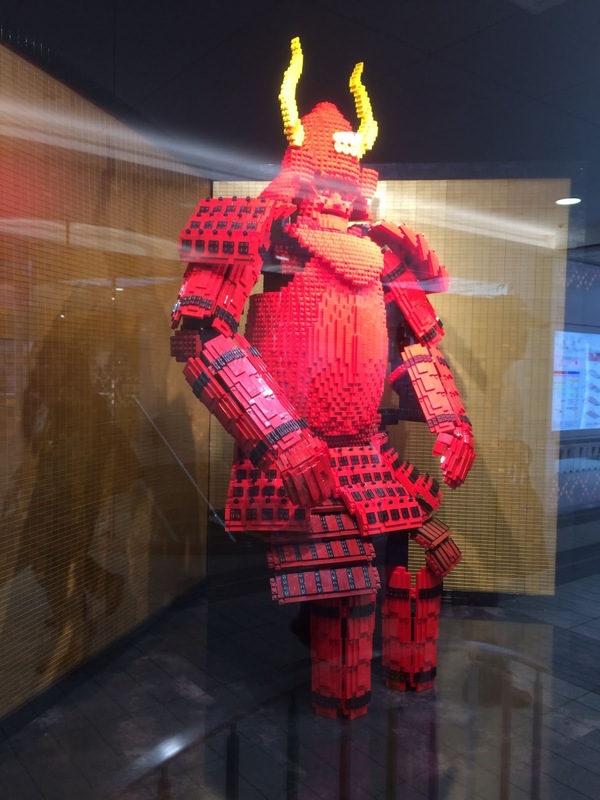 And a huge statue of Sanada Yukimura. 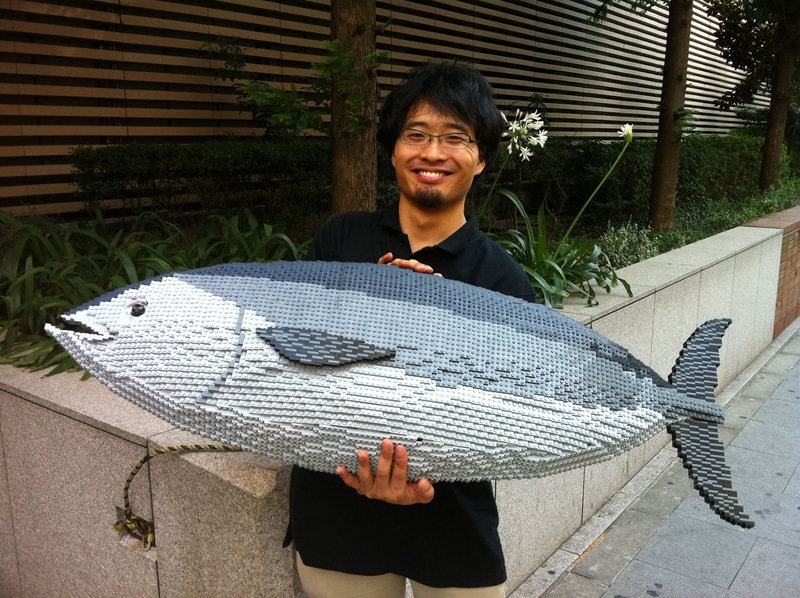 From the Lego website...a photo of the artist holding a 5000-something piece maguro...amazing! 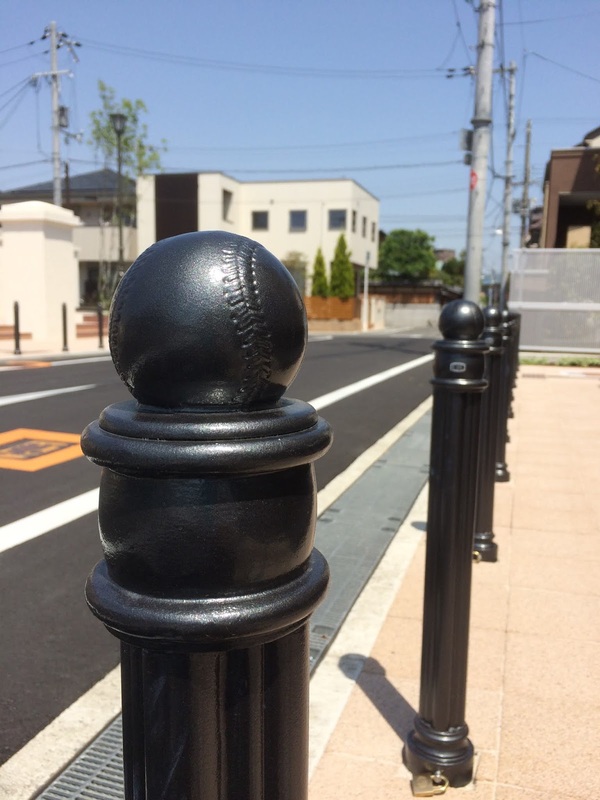 Twelve years ago (pre-blog), we checked out the area where the first Japan high school baseball tournament was held in Toyonaka, Osaka back in 1915. 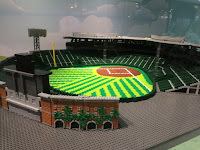 Nowadays, the games are held at Koshien stadium during Spring & Summer. Recently the area was refurbished. 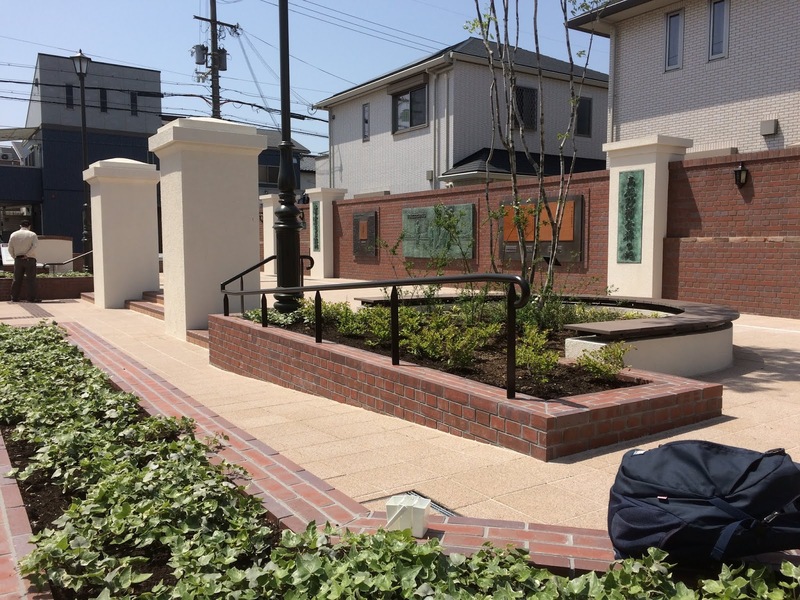 I am bummed that they chopped down the tree that was there...why does Japan always kill the trees whenever they rebuild stuff?! 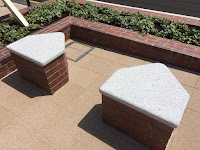 Love the baseball themed items around the park, like the places to sit. 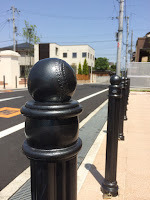 The barriers around the park. 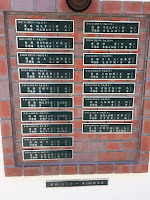 Across from the park, is a memorial area with plaques of all the winners from the games (only the summer games though). 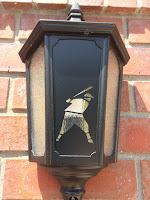 This year the 99th tournament will be held. It was nice to reconnect with this park.